Bringing business, nonprofits, government and academia together to make Marin more sustainable. Kate Sears is Southern Marin's elected representative on the Marin County Board of Supervisors. Kate is serving her 3rd term, re-elected in June 2016. Kate was an attorney in private practice for 16 years before joining the Consumer Law Section of the California Attorney General's Office in 2005. Her goals include creating healthy and equitable communities, improving public transit options, taking care of our aging community, addressing our housing affordability crisis, enhancing renewable energy and protecting our environment. Kate holds a B.A. in Asian Studies from Carleton College (1973), a Master's in China Regional Studies from the University of Washington (1977) and a Ph.D in Political Science from the University of Michigan (1985). She received her J.D. from Harvard in 1989. Honors conferred upon her include a Fulbright Scholarship for her doctoral dissertation research and a Distinguished Teaching Award from Harvard. CleanTech Summit Co-host and VenturePad's founder/president is Chris Yalonis, longtime Marin entrepreneur with 30 years in software development, marketing research and customer development. Chris is a founder team member of 6 start-ups (pre-IPO Autodesk marketing team, Survey Monkey platform co-architect, SaaS, professional services). Sustainable Enterprise Conference Marin Co-Chair. Since 2002, Chris has founded and led consultancies, completing over 500 marketing intelligence and sustainability projects and programs with multiyear clients Motorola, Cisco, Blue Cross/Blue Shield, Siemens, Clorox, Cities of San Francisco, Denver, Napa, San Rafael among others. As an educator and mentor, Chris has developed and taught undergraduate and graduate courses (classroom, online and hybrid) in entrepreneurship, sustainability leadership, customer development and innovation. 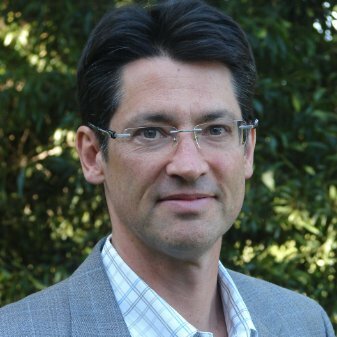 CleanTech Summit Co-host and Co-founder/VP Marketing & Operations at VenturePad is Alejandro Moreno S. He is also the Conference Organizer and an advisory board member for Marin Sustainable Enterprise. Polyglot with an MBA in Sustainable Enterprise from Dominican, post-grad specialization in Int'l Business from Universidad EAFIT, BA Int'l Relations from UC Berkeley, a Marinite since '77 and an entrepreneur since 1997, he previously led marketing & operations with Marin’s former leading accelerator Venture Greenhouse. Spanish translator and simultaneous interpreter on the side, he also volunteers for TEDxMarin, TEDxSalon, Canal Alliance, Sonoma Sustainable Enterprise Conference and the Greenermind Summit. Tom Williard, CEO at Sage Renewables has more than 15 years of experience as a professional energy consultant, with a focus on development of tech and financial models now widely used to assess renewable energy systems and to predict potential energy generation and financial performance. In 2013, Tom cofounded SolEd Benefit Corp and wrote the project financial models used to structure PPA and lease financings that reduced the cost of renewable energy projects for public schools. In 2005, he cofounded Solmetric, a company that developed the SunEye, a high precision instrument now widely used in the solar industry to measure shade characteristics. In 2001 he cofounded System Design, a renewable energy system design and due diligence company. Tom served for seven years as an elected public school trustee in Marin County. Robert Gould has been in the solar industry since 2005, developing, designing and supervising the installation of commercial and residential solar systems. He now is focused exclusively on developing and managing SolarCraft’s commercial solar efforts. He has over 20 years working in sales, marketing, product development and organization development in green and socially-responsible businesses. He was a President of GreenLight Solar and Director at Charles Schwab, and holds an M.A. in Sustainable Management. Robert lives in Mill Valley with his wife and son. JR Killigrew, Community Development Manager at Marin Clean Energy. JR interfaces with a wide range of community stakeholder and customer groups conducting climate action planning support, greenhouse gas reduction strategy, and strategic outreach efforts within MCE’s service area. Prior to this he served as membership lead to the ICLEI USA member network providing tech support around emissions management and related software tools, climate action planning and sustainability initiatives. He also worked as the first sustainability coordinator for Sustainable Bolivia in Cochabamba where his work focused on spearheading the organization’s first sustainability report, greenhouse gas inventory and short-form documentaries highlighting Sustainable Bolivia’s educational commitment to the local Bolivian community. J.R. holds a Bachelors’ Degree in Economics from Pitzer College and is highly proficient in Spanish. As Co-founder and Executive Director of Cool the Earth, Carleen Cullen works to engage students in the issues of climate change through a school-to-home program. The program motivates kids and their families to take actions to reduce their carbon footprint. Cool the Earth has reached over 250,000 families nationwide. Cullen draws from a wealth of experience, having helped start an information technology company, take the company public and later sell the company to an international national conglomerate. Cullen serves on the Leadership Council for Chabot Space and Science Center and has a B.A. in English Literature from Loyola Marymount University. Spencer Crim, account executive at Chargepoint, works closely with commercial and industrial energy customers to help them gain the visibility to make more intelligent energy decisions and earn revenue with Chargepoint's grid-operator programs, leverage automated analytics to meet reporting/compliance requirements, and procure energy at the best price. Prior to Chargepoint Spencer helped design and present customized solar PV systems for residential customers, provided financial analysis during in-home consultation to lower customers electricity costs, and offered guidance and assistance throughout design, permitting, and installation processes. Spencer obtained a BA with honors from Colby College in 2009. Adam joined TSRC after receiving an M.S. in Transportation Engineering from UC Berkeley in June 2015. His research topics and interests include carsharing, ridesharing, ridesourcing/transportation network companies, microtransit, and alternative fuels. Prior to joining TSRC, he worked with the San Francisco County Transportation Authority in their modeling and travel forecasting division. He also has previous experience in roadway design and construction. He received his B.S. in Civil Engineering from UC Davis in 2012, and he grew up in Santa Monica, California. Bruce King is a registered structural engineer with 30 years of private consulting experience and 25 years of leadership in the green building movement. He has served as a Green/Clean Tech advisor to numerous startups and other organizations. He has worked on high-rise structures in San Francisco, aircraft remodeling in Miami, Tahitian resorts, Buddhist monasteries in the Colorado Rockies and passive solar designs all over the world. He is Founder and Director of the Ecological Building Network (EBNet) and author of Buildings of Earth and Straw, Making Better Concrete, and Design of Straw Bale Buildings, and most recently The New Carbon Architecture. He lives in Lucas Valley with his family. David Warner, HNP Co-Founder & Board Member, and CEO at Redhorse Constructors. David co-founded the Human Needs project with Connie Nielsen in June 2010 to bring a new level of quality water and sanitation services to Kibera slum, Kenya, via a state-of-the-art facility built with local labor forces at the highest construction standards. A UC Berkeley alum, David is a board member of the College of Natural Resources at his alma mater. He founded Redhorse Constructors twenty-five years ago in Northern California, and was Custom Builder of the Year in 2007. His company built Metallica's headquarters in San Rafael, and has also done work for Huey Lewis, Sammy Hagar, Joe Satriani and Green Day. Born in Marin and raised in Larkspur, Warner now lives in Fairfax with his wife, Suzanne and two children, Joe, 22, and Megan, 24. Greg Thomson is Director of the Community Microgrid Initiative for the Clean Coalition. Greg's leadership on the Community Microgrid Initiative is an innovative approach that proves a modern grid can support much higher levels of cost-effective renewable energy. In the wake of the fires that ravaged Sonoma County in October 2017, the Clean Coalition — a non-profit that aims to accelerate the use of clean energy and technologies — is working to create community microgrids in the area. The project focuses on taking advantage of available commercial, industrial and residential roof and parking space to site solar power, and also community microgrids where they can provide power to critical services during outages. The project is spearheaded by the Clean Coalition with PG&E, Sonoma Clean Power and organizations such as Rebuild Northbay. KEYNOTE speaker Gil Friend is Chief Sustainability Officer (CSO) at the City of Palo Alto, California, where he's leading Palo Alto's "climate moonshot." Gil until December 2013 was CEO of Natural Logic Inc, helping companies design, implement and measure profitable sustainability strategies. He is widely considered one of the founders of the sustainability movement, was named an inaugural member of the Sustainability Hall of Fame by the International Society of Sustainability Professionals, and was named “one of the 10 most influential sustainability voices in America” by The Guardian. He served on San Francisco Mayor Gavin Newsom’s CleanTech Advisory Council, and the executive board of OpenEco.org, and was twice named one of the Bay Area’s top 25 movers & shakers in cleantech. Friend is author of the acclaimed book The Truth About Green Business. He holds an M.S. degree in systems ecology from Antioch University and has a black belt in Aikido.